Brightwood Farm Blog: Thousands of Tulips in Brightwood! We enjoyed an Easter Day walk among the tulips at our smaller farm here in Brightwood. 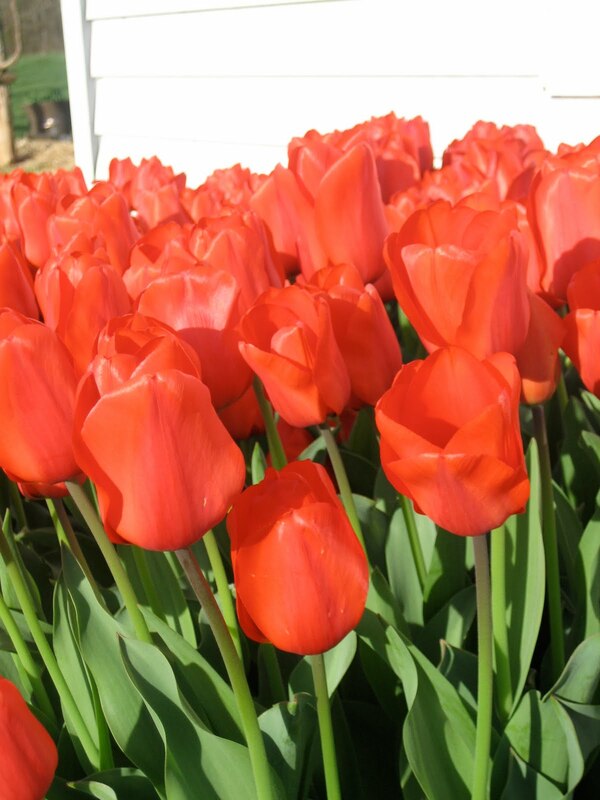 Our good friends, Jeroen and Keriann Koeman, owners of EcoTulips are growing 40,000 beautiful organic tulips there. About a third of them are open now; next weekend they should be gorgeous! I was surprised by the intensity of the colors; especially the maroons, reds and purples. You can come and enjoy the flowers (and cut some to take home, too) from now through at least the middle of the month, depending, of course on the weather. After such a snowy winter, we are all enjoying Spring all around! It's very beautiful...I also love red... :) Thanks for sharing.